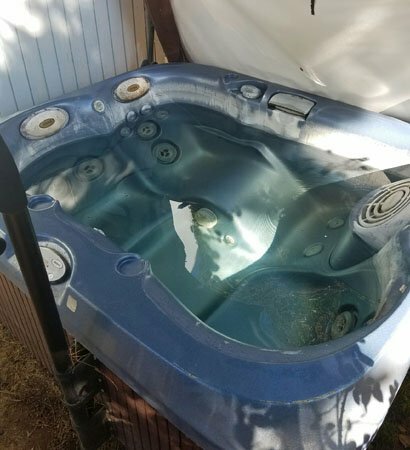 This above ground spa or hot tub project was for a home owner in Pacific Beach, CA that wanted to use the hot tub but it was not in really good condition. The water had been in there for a long time without having any water chemistry or cleaning maintenance so it looked and smelled off. This calls for a hot tub drain and clean consisting of draining the hot tub, cleaning all of the surface areas, cleaning the cover, filling up and balancing the hot tubs water chemistry. The first thing is to set up a sump pump and drain the dirty hot tub water. That is to remove all water including the water inside the hot tub, jet lines and filter lines ensuring that we prevent as much old dirty water being left as possible, upon re-filling. 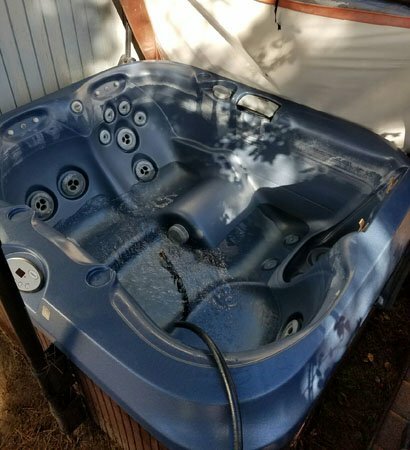 Depending on the severity of the spa or hot tub, we will sometimes recommend that a spa or hot tub flush is performed ensuring the removal of any build up in the filter lines and jet lines. 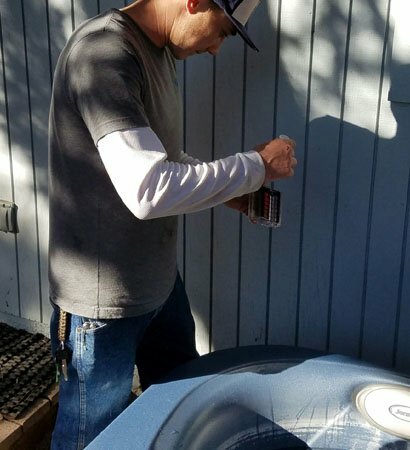 next we clean the hot tub cover of all dirt and debris again with a specific cover cleaning product and then we use a cover care product that helps moisten and keep the hot tub cover in better condition and lasting longer. Once clean we then remove and set aside to properly clean the hot tub. 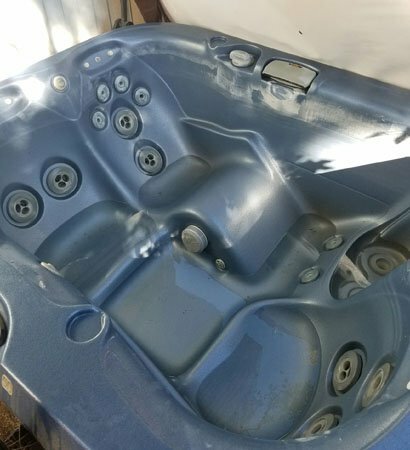 Now that all of the water is out, we will then use a hot tub surface cleaning product that helps remove all dirt, debris and any built up oils on the spas surface. We do this and then rinse it out until all remaining dirty water is out. Once clean, we will start adding fresh water to the spa/hot tub until it is filled back up to a normal operating range. 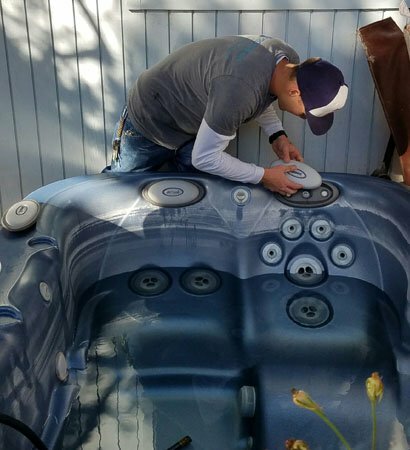 The last step when performing a spa or hot tub drain and clean is to re-install the cover, finish filling up the water and finally, balancing the spa or hot tubs water chemistry. 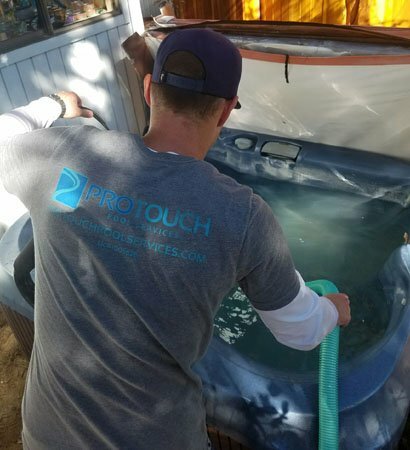 Regardless if the home owner is a “Do It Yourselfer” or has a weekly hot tub service company, balancing the water gives the customer a week with safe and usable water without needing to add anything else. This was a spa or hot tub drain and clean performed in Pacific Beach, CA though, we offer this spa and hot tub service throughout San Diego.